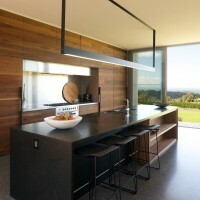 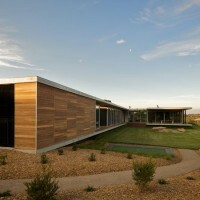 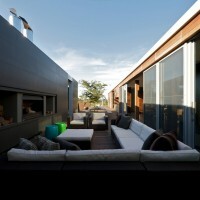 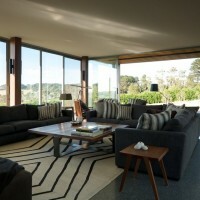 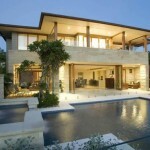 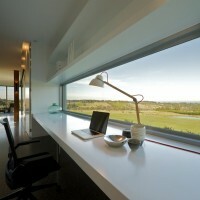 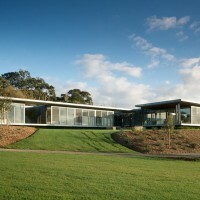 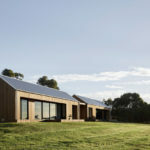 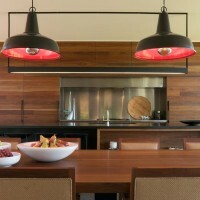 SJB Architects designed the Shoreham House on Australia’s Mornington Peninsula. 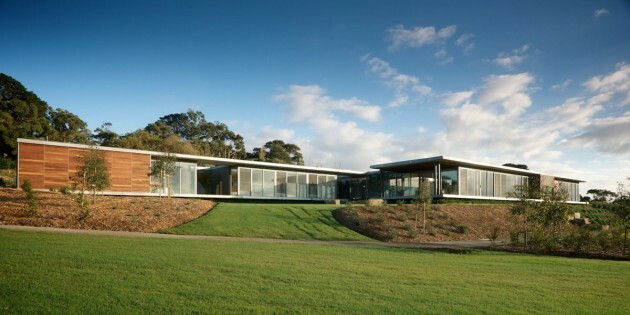 Situated on a stunning site overlooking Westernport Bay, this residence was conceived as two pavilions sliding across the landscape, creating shelter, shade and relief from the unpredictable coastal weather patterns. 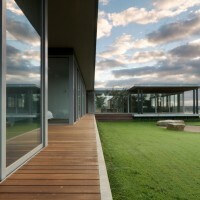 A swimming pool terrace, alfresco dining space and outdoor leisure zones are designed within the interstitial zones between the pavilions. 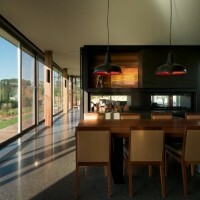 The project brief emphasised flexible spaces to accommodate the needs of a large family. 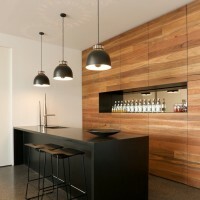 The open plan design contains operable panels and dividing joinery so that the areas can be transformed depending on the requirements. 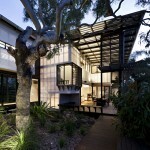 Visit the SJB Architects website – here.